Our worship is built around the ancient Christian tradition, with rituals and words both from ancient times and from today, and with music from around the world and across the centuries--including the 21st century! 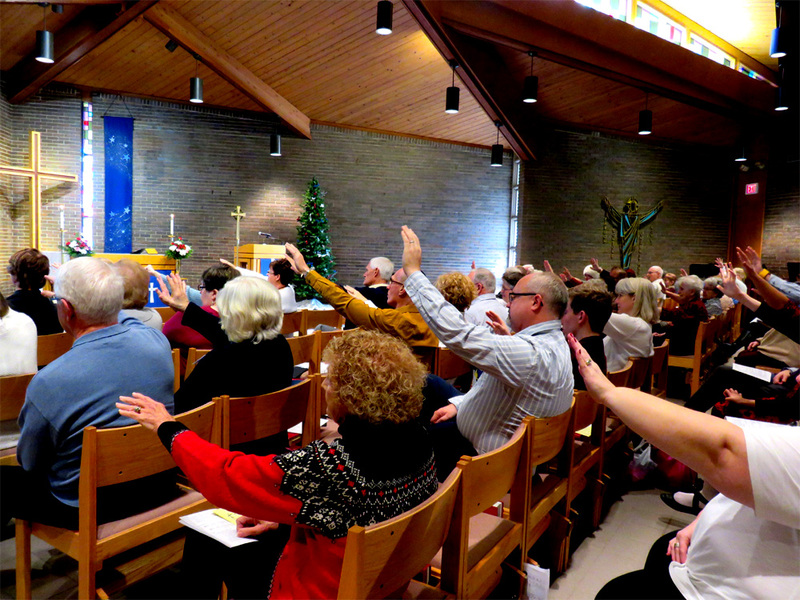 Lutherans love good music, and we love to sing! We follow the seasons of the Church year, which helps us experience more fully the rhythm of life and the wonderful, broad mystery of how God’s story has unfolded across the ages. We usually begin by confessing to God the ways in which we have failed to show love either for God or for other people, and are then assured of God’s amazing forgiveness. We sing, pray for ourselves and for our world, listen to God’s word as it comes to us in the scriptures, hear how that word applies to our lives today, and give an offering from the resources God has given us to help meet the needs of our neighbors. Then we gather around the Table for the meal of bread and wine in which Christ is present among us in a very real way. We celebrate the feast of the Eucharist (Holy Communion) every week, and it is a central part of how we experience God in worship. Then we’re sent out from the Table to serve God and our neighbors in the world. Some of us dress very casually, some of us dress up a bit...it doesn’t matter! Come however you are most comfortable. What matters is that we come together to praise God and to experience week after week God’s amazing grace and power. And children are welcome in all of our worship, including at Christ’s Table!